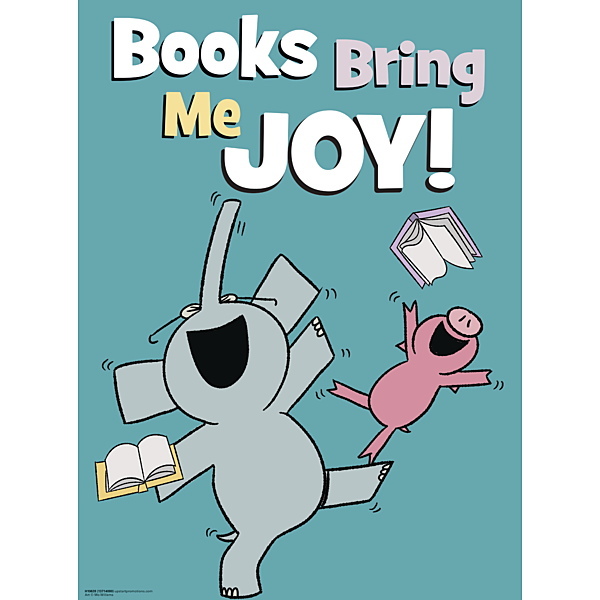 Brighten up your classroom, nursery or library with Elephant & Piggie! Carpet measures 5'4" x 3'10" and is made of premium-quality, high-twist 100% nylon fibers. 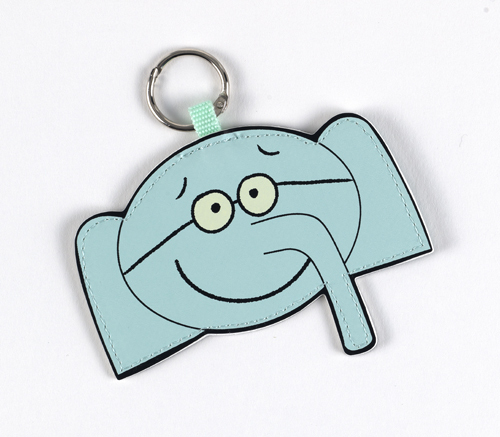 Vinyl stitched oversized keychain featuring Gerald from Mo Willems's bestselling Elephant & Piggie series! Measures approximately 4" x 3". 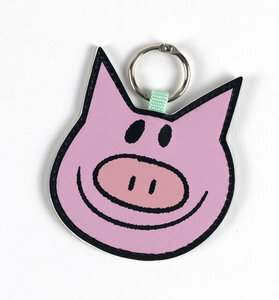 Makes a great bag tag for backpacks and purses, as well as a keychain. Also available in Piggie style. 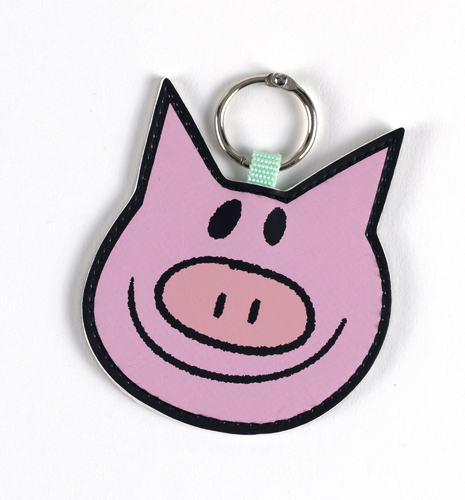 Vinyl stitched oversized keychain featuring Piggie from Mo Willems's bestselling Elephant & Piggie series! Measures approximately 3.25" x 3.25". Makes a great bag tag for backpacks and purses, as well as a keychain. 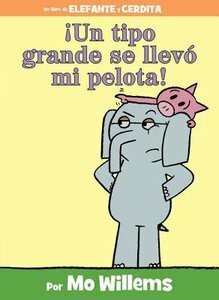 Also available in Elephant Gerald style. An Eric Carle Museum Exclusive! This silk chiffon square scarf features vibrant and colorful art by Mo Willems. Scarf measures 36" x 36". The perfect gift for the art lover in your life! Don't Let the Pigeon on the Scarf! This luxurious silk chiffon scarf features iconic Pigeon from Mo Willems' bestselling series. Scarf measures 65" x 16.5". 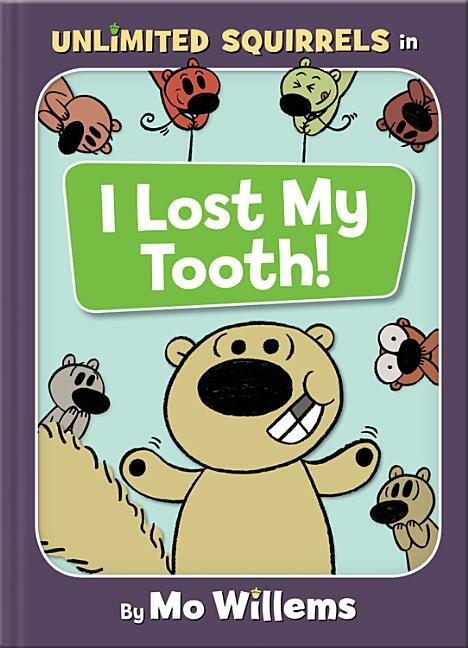 The perfect special gift for educators, librarians and picture book fans! 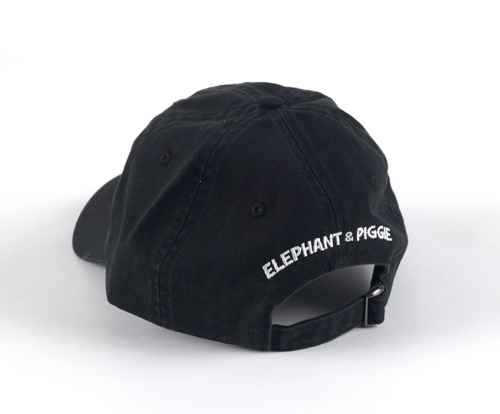 Black six-panel cotton baseball cap featuring "ELEPHANT & PIGGIE" from the bestselling "ELEPHANT & PIGGIE" series by Mo Willems. Embroidered characters on the front and ELEPHANT & PIGGIE embroidered on the back. One size fit all adults with adjustable fabric strap in back. 100% cotton t-shirt, featuring "ELEPHANT & PIGGIE" from the bestselling series by Mo Willems. 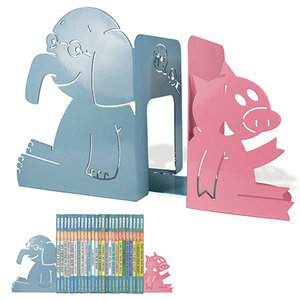 Organization can be fun with our "ELEPHANT & PIGGIE" Bookends that combine function and style! Made of durable metal with high gloss coating, "ELEPHANT & PIGGIE" sit comfortably back-to-back to prop up their bestselling book collection. Soft blue-grey Elephant separates from peppy pink Piggie to support all 24 "ELEPHANT & PIGGIE" books with personality. Look out for Pigeon, as he makes a surprise appearance on this set of bookends just as he does in Mo's books! Bookends measure approximately 6" h x 3" w x 5" d.
Books not included, but find all of Mo's books to fill your bookends (including autographed copies) here. 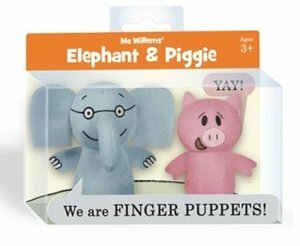 "ELEPHANT & PIGGIE" are now available as an irresistible pair of fun-sized finger puppets! Perfect for teachers and librarians to use for storytime with Mo Willems books, as well as at home fun. This playful pair is made of soft sewn brushed tricot and their friendly faces are screen-printed. Each measure approximately 3" high. Ages 3 and up. 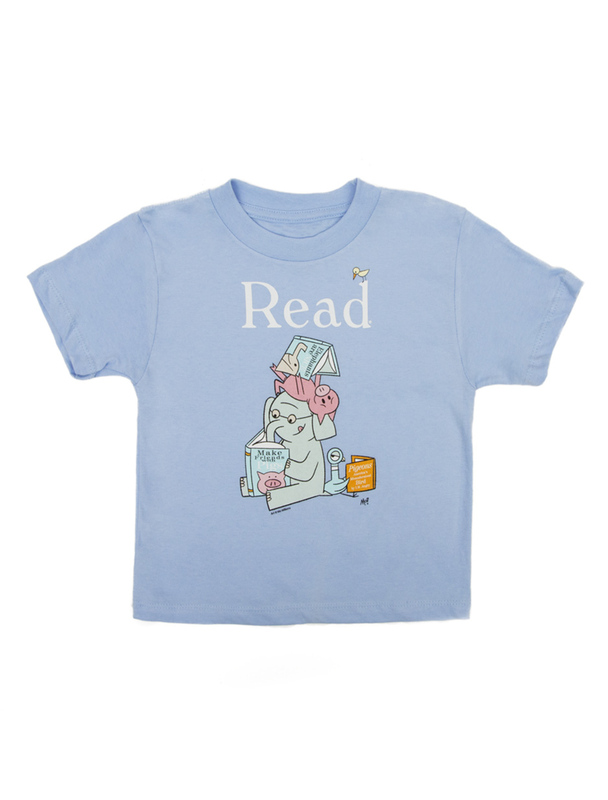 This fitted ladies' t-shirt is 100% soft combed cotton and features Mo Willems' "ELEPHANT & PIGGIE." Note: Runs small and fitted. We recommend purchasing one size larger than your normal size. 15 oz. 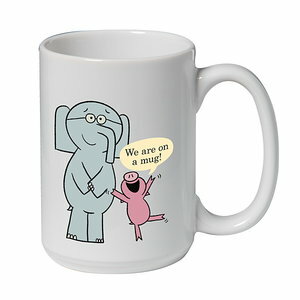 ceramic mug featuring Mo Willems' "ELEPHANT & PIGGIE". This popular pair has the softest light blue-gray and pink chenille bean-filled bodies and is embroidered with expressive details. 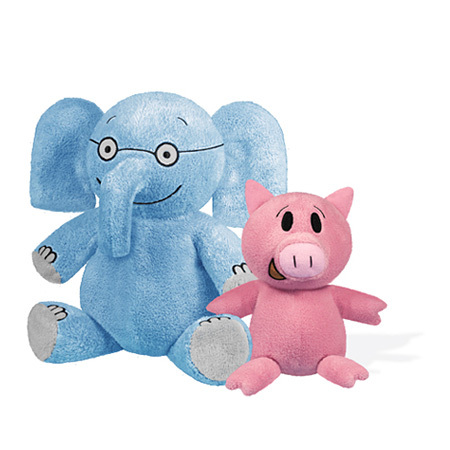 Elephant wears his signature round glasses, while Piggie maintains her perfectly positive outlook. We have added a few stitches to keep this popular pair together, so you can keep these best buddies side-by-side! 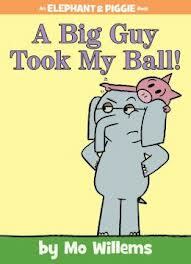 Gerald the Elephant measures 7" tall and Piggie measures 5" tall. Adorable child-sized 100% cotton canvas tote bag featuring artwork by Mo Willems from the ALA READ campaign, which has encouraged children to read since 1985. Measuring at 10.5" x 10.5", it's the perfect size to pair it with a book or two for a truly memorable gift! 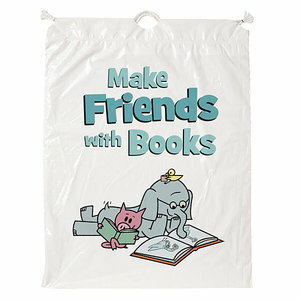 Purchase of this bag sends one book to a community in need and supports children's literacy initiatives in the U.S. This design also available as a t-shirt or baby onesie. Youth t-shirt featuring artwork by Mo Willems from the ALA READ campaign, which has encouraged children to read since 1985. Pair it with a book for a perfect gift! Size: Chest: 22" Length 14"
Size: Chest: 26" Length: 16"
Size: Chest: 28" Length: 18"
Single oversized die-cut sticker featuring "ELEPHANT & PIGGIE" by Mo Willems. 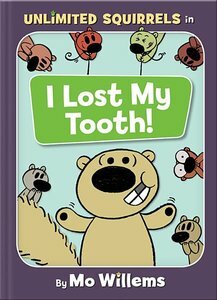 Sticker measures approximately 3" high. 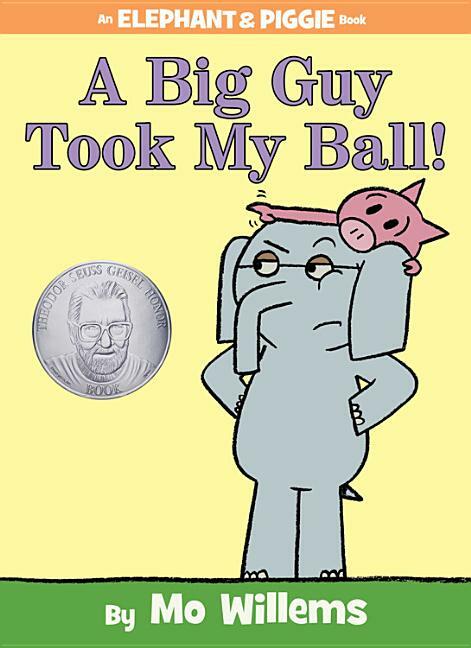 Also available in the Mo Willems Sticker Pack! We Are On a Sticky Note! Let Mo Willems' Elephant & Piggie bring some fun to your desk with this giant sticky note block! 675 self-adhesive sheets. Block meansures 3-3/8" x 3-3/8". Also available in Pigeon! Natural-colored heavyweight canvas tote bag featuring "ELEPHANT & PIGGIE" from the bestselling series by Mo Willems. 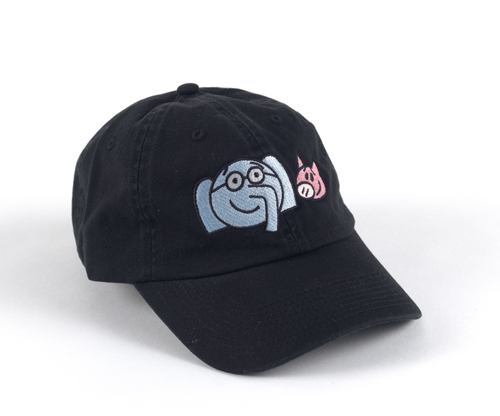 Black six-panel cotton baseball cap featuring "ELEPHANT & PIGGIE" from the bestselling "ELEPHANT & PIGGIE" series by Mo Willems. Embroidered characters on the front and ELEPHANT & PIGGIE embroidered on the back. One size fit all youth (ages 3+ recommended) with adjustable fabric strap in back. 100% pre-shrunk cotton youth t-shirt, featuring "ELEPHANT & PIGGIE" from the bestselling series by Mo Willems.